British cinema of the 1930s is naturally completely overshadowed by Alfred Hitchcock, but there is more to it than that. 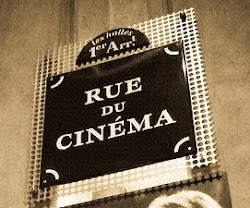 There were hundreds of films made, in various genres and various stages of professionalism. Both Michael Powell and Carol Reed were making their first efforts. But there were several others too, much less known, who should be subjects for further research. Previously I have written about Anthony Asquith. Two other filmmakers that interest me are Robert Stevenson and Victor Saville. They have in common that they were both prolific in various genres in the 1930s and then went to Hollywood when the war came. There Stevenson ended up working for Walt Disney and directing some of the biggest box office hits of all time. He will get a post later on. Saville was born in 1895 I think, there is conflicted information on this. On BFI's profile it says both 1897 and 1896 and on IMDb and Wikipedia it says 1895. Early on he met Michael Balcon and produced a film with him in 1923, Woman to Woman, directed by Graham Cutts. (It was co-written by Hitchcock, who was also the art director and assistant director. Alma Reville was editor.) They then went their separate ways as producers during the 1920s but joined forces again in the early 1930s when Saville began directing films at Gaumont-British where Balcon was head of production. Later in the decade Saville became an independent producer/director (with a deal with Alexander Korda) and that is when he made Dark Journey (1937). Saville claimed that he did not consider himself a great director and was more interested in producing, and this is what he primarily did when he moved to the US, where he became a producer first at MGM, and with a high profile. The transition from British to American films began with him producing two of MGM's British productions, The Citadel (King Vidor 1938) and Goodbye Mr. Chips (Sam Wood 1939). He then moved to the US where he first produced the great The Mortal Storm (Frank Borzage 1940), which, together with Mervyn LeRoy's Escape from the same year, angered the Germans enough for them to ban all MGM's films. It also upset some people in Washington who called Saville in for a congressional hearing. 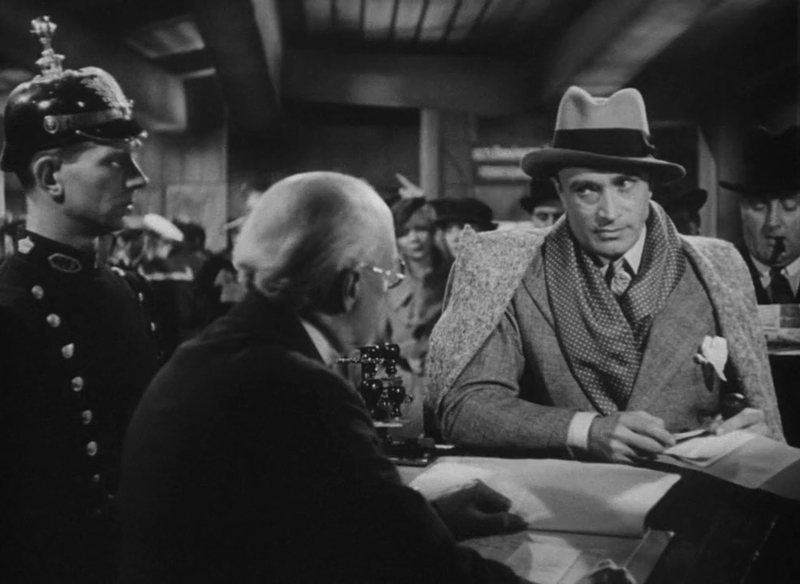 (Borzage and the cast were also angry because Saville more or less argued he directed most of the film. A weird story which I do not understand.) He would then alternate between producing and directing (both for MGM and Columbia) until he returned to Britain in the late 1950s. His penultimate film as director was Paul Newman's first film, The Silver Chalice (1954), a film Newman famously hated. 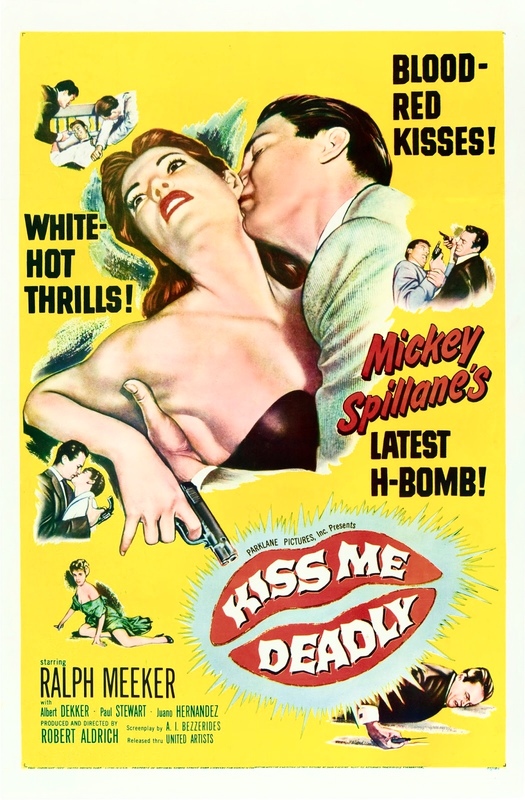 Saville had also required the rights to the books by Mickey Spillane so he was involved in the production of Robert Aldrich's incredible Kiss Me Deadly (1955). The last film on which he had a director's credit (as Phil Victor) was for the Spillane-based My Gun is Quick (1957), also directed by George White, otherwise an editor. 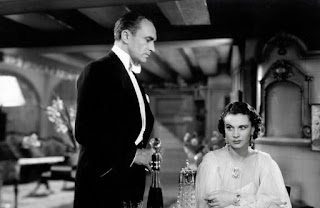 Dark Journey is set in Stockholm of 1918 (the Swedish title was Spioncentral Stockholm) and Vivien Leigh, exceptionally stylish and glamorous, plays the lead as a French spy posing as a Swiss owner of a fashionable clothes store in Stockholm while also posing as a German spy. She has two gentlemen callers, a British spy played by Anthony Bushell and a German spy played by Conrad Veidt, the latter of which is a more complicated love interest as he, being German, is an enemy. But the story in itself is not particularly interesting. More impressive is the production itself, an expensive one with impressive sets. The set designer for several of Saville's films was Alfred Junge, otherwise known for his work with Powell and Pressburger, but not here. Instead the sets were designed by Ferdinand Bellan and Andrej Andrejew, and there were three cinematographers working with Saville, Georges Périnal, Harry Stradling and Jack Cardiff (still only as camera operator). There is plenty of talent involved and it shows. The film on the whole is rather luxurious and sometimes witty and could at times be mistaken for a Paramount production. The screenplay is by Lajos Biró, an Hungarian who wrote the scripts for a lot of exotic British films of the 1930s, as well as the play on which Mauritz Stiller's Hotel Imperial (1927) and Billy Wilder's Five Graves to Cairo (1943) are based. He also wrote the story for Josef von Sternberg's The Last Command (1928). It may or may not be a coincidence that all those three films were produced by Paramount. But while being impressive looking and with an attractive mood Dark Journey still falls short, and this is due to Saville I would suggest. 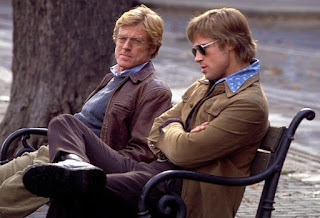 The actors could have been better directed, to be made livelier and more passionate. They are a bit too reticent for my taste. In addition, the staging of individual scenes is often rather unimaginative or too plain. Despite those concerns Dark Journey is still an accomplished film, and one that need not be cast aside. There are other films by Saville of interest too, such as South Riding, which is peculiar but I like it, or Evergreen or the drama Friday the Thirteenth (1933), showing a day in the life of a cross-section of English society. (The acting in them is not as reticent as in Dark Journey.) Even if Saville was not a great director he had an interesting career with many different stages and above all he was a key player in British cinema, leading up to the glorious 1940s when British cinema was at the height of what the art form can do. The Mortal Storm. One decent couple in a room full of Nazis. 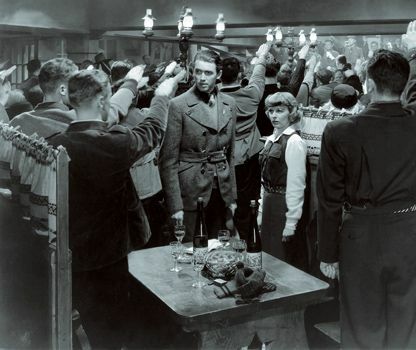 A link to my earlier article about Borzage. A few days ago the stats showed that I had reached 500 000 visitors on the blog. That seemed like a good excuse to rest on my laurels (primarily because it is a fun thing to say). And it is still summer and the heatwave continues, even though I have tentatively began working again, reading student essays (no one's idea of fun) and such. But the next post, on Friday in two weeks, will be a regular kind. So see you then! But before you go, a clip with Robert Redford, who announced his retirement this week.